KHOU, whose studios and offices were destroyed by Hurricane Harvey, has announced plans to open small, secondary studio in downtown Houston. 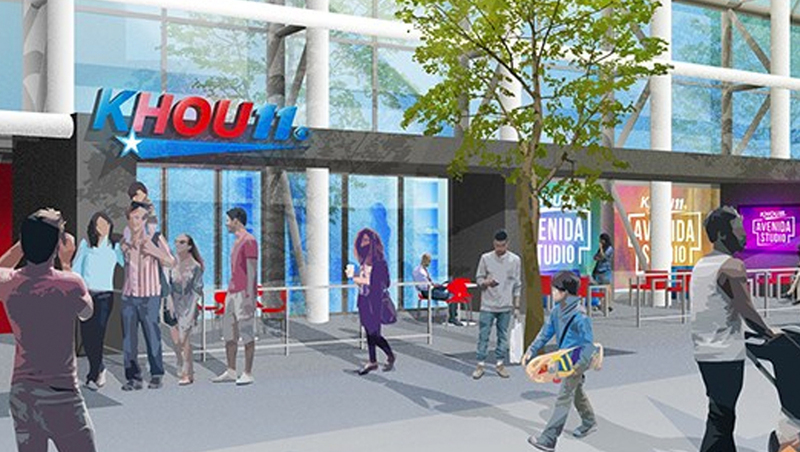 The studio, which will be in the Avenida Houston development with scenic views of the area’s open plaza and nearby convention center, will have the ability to create an “al fresco” configuration, allowing talent better opportunities to interact with the public. Given that the new space is slated to only be about 800 square feet, the facility will not serve as the main news studio or house any other significant station operations. Once the space opens in March 2018, plans call for the space to be used “several times a week” on newscasts and other programming produced by KHOU, a Tegna owned CBS affiliate. During Hurricane Harvey, KHOU was forced to abandon its studios and offices due to flooding and has been operating from Houston Public Media as Tegna looks for a new home for the station, though it has not been officially confirmed if the station will restore its old studios or move to a new location.